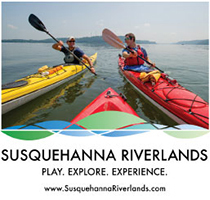 Susquehanna Heritage works with partners and communities to advance our vision for the Susquehanna Riverlands as a national destination for heritage and outdoor travelers. Our Tourism Development efforts increase the visibility and readiness of the river as a visitor destination. Our Placemaking initiatives enhance the quality and appeal of the river’s special places and landscapes. 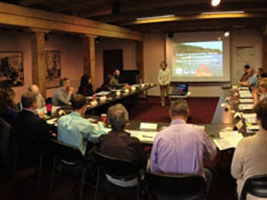 Our work has involved a variety of heritage development, conservation and outdoor recreation programs and projects. 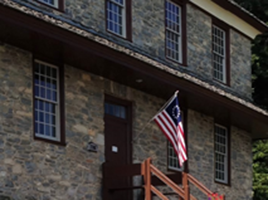 See Susquehanna Heritage Programs & Projects for an overview of our work since designation as a Pennsylvania Heritage Area in 2001. View our 2018 Annual Report and Strategic Plan to see what we are planning for the future of the Heritage Area. We manage two great places for visitors to discover the river’s rich cultural and natural heritage – Zimmerman Center for Heritage and Columbia Crossing River Trails Center. 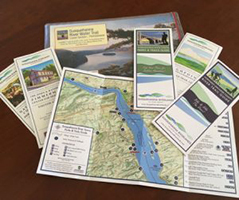 Our maps and guides help visitors find and explore the river’s extensive network of parks, preserves, trails, and heritage sites. We lead a coalition of tourism, business and public partners to enhance economic vitality through heritage and outdoor tourism development in the Susquehanna Riverlands. We seek designation as a National Heritage Area to recognize the significance of the river and our region to American history. 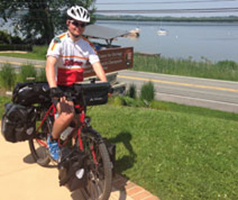 We collaborate with the National Park Service to develop and implement a Segment Plan for the Lower Susquehanna portion of America’s first water-based National Historic Trail. 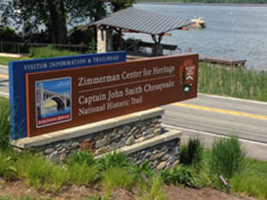 We operate the Zimmerman Center for Heritage as Pennsylvania’s official Visitor Contact & Passport Station for the trail. As a member of the Susquehanna Riverlands Conservation Landscape Leadership Team we help identify land preservation priorities and support acquisition efforts along the river. Through the Chesapeake Conservation Partnership we help guide efforts to conserve culturally and ecologically important landscapes in the six ­state Chesapeake watershed. With local and state partners we helped save over 300 acres of scenic and historic riverlands as public parks and preserves, including Highpoint Scenic Vista and Native Lands County Park. We worked with regional, state, and national partners to transfer over 2000 acres of utility lands along the river to public and non-profit groups for long-term stewardship and community recreation. We helped facilitate preservation of Camp Security, a nationally significant Revolutionary War prison camp site at the headwaters of Kreutz Creek, a tributary of the Susquehanna.